The Design process is one of many that are of Paramount importance. There are a multitude of questions to ponder prior to arriving at your final decisions and rest assured these are questions that P.T. Ranson will ask during the process. Site Visit and Detailed Measuring facility. Design consultation and advisory services. Specialist bathroom design & integration. Professional project planning & technical support. ARTICAD image files & technical instructions. Regularly work as integrated part of client design/delivery team. Ability to work from Architects drawings. ARTICAD drawings provide realistic interpretations of our designs giving our clients more confidence in our products enabling us to create more exciting spaces. 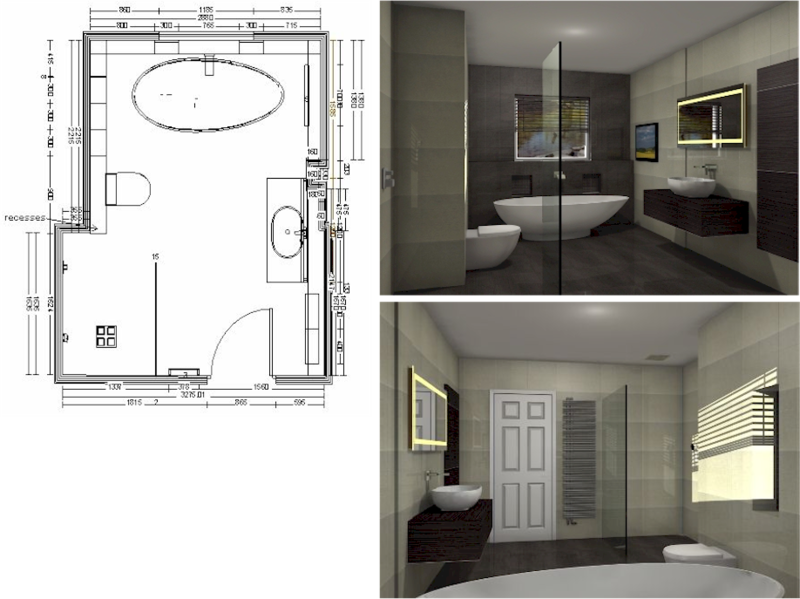 These images and technical drawings not only help our clients to visualise the ideas for their bathroom project, but deliver detailed information and guidance for installers to enable the concept to come to fruition.